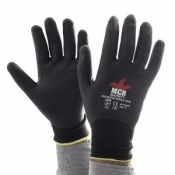 If you work in wet or dry conditions where cut hazards are present, it's integral that you use protective gloves. The Towa ActivGrip Omega TOW540 Cut-Resistant Gloves have a nitrile coating on their palms and thumbs and offer cut level five protection. 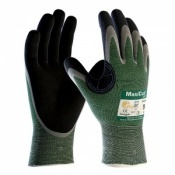 This makes them ideal for dry, wet and oily conditions that are dangerous as a result of their cut hazards. 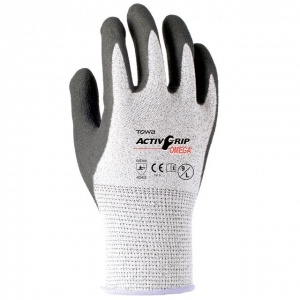 The ActivGrip TOW540 Gloves are grey and black in colour with a purple liner. Their code is TOW540. The Towa TOW540 Gloves are available in five different sizes so you're able to get a more tailored fit. Please consult the table below to find out which size will fit you best.